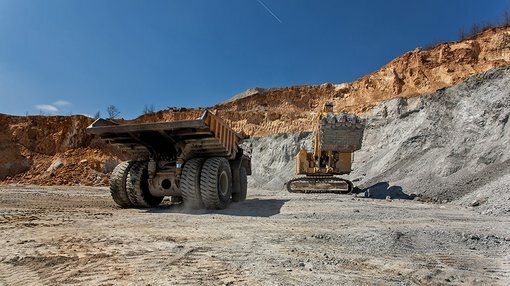 Victory Mines Limited (ASX:VIC) has entered into a binding agreement to acquire 100 per cent of the issued capital of Cobalt Prospecting Pty Ltd (CPPL). CPPL was established to secure mineral tenements in NSW and WA, primarily with the aim of developing assets that would produce cobalt (and secondly, scandium). It opens four such project areas across the two states. The two NSW tenements, Malamute and Husky, are located approximately 150 kilometres west of Dubbo and cover a total area of 244 hectares. The project sites are near landholdings owned by Clean TeQ Holdings (ASX:CLQ) and Australian Mines Limited (ASX:AUZ) which are prospective for high-grade cobalt and scandium mineralisation. 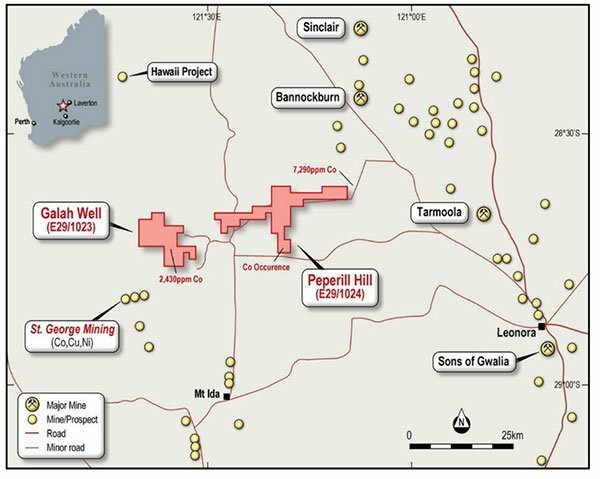 CPPL’s Husky tenement is contiguous with tenements owned by both AUZ and Platina Resources (ASX:PGM) and within a five kilometre radius of CLQ’s high profile project, as shown below. The region containing Husky and Malamute has proven in recent times to be a rich source for cobalt, as well as an emerging source of scandium, for strong global markets due to its enriched mineralisation systems. Given the sites are surrounded by high-profile peers, two of whom have defined JORC compliant estimates already established, there is clear potential for exploration upside for VIC through the acquisition. The above factors may explain why investors have viewed the acquisition favorably. VIC ended the day up 150% after emerging from a trading halt following the morning’s announcement. The newly acquired sites boasts a range of other advantages including ready access to infrastructure, main roads, power as well as proximity to modern towns and cities with a skilled workforce (thereby saving costs with training as well as reducing the need for on-site accommodation). Further, the location provides a clear path to market through third party processors and main roads/road networks to access the port of Sydney to reach export markets. The absence of major population centres close to the tenements also means that the regulatory processes towards production should be relatively straight forward. Favourable geology is a factor in determining the value of the Husky tenement, located adjacent to AUZ’s cobalt/scandium deposit. 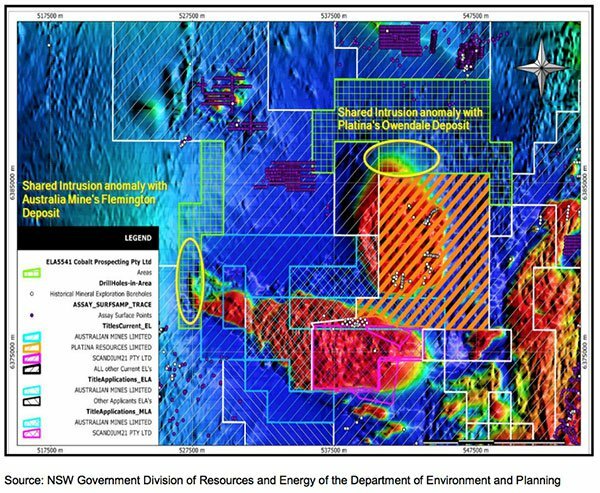 AUZ’s deposit is hosted in a magnetic anomaly, with mineralization open in multiple directions, implying further potential upside for its new owner, VIC. Analysis also shows that the Husky prospect is expected to contain similar geological traits to CLQ’s nearby deposit, which suggests it could produce cobalt sulphate, nickel sulphate and scandium oxide. 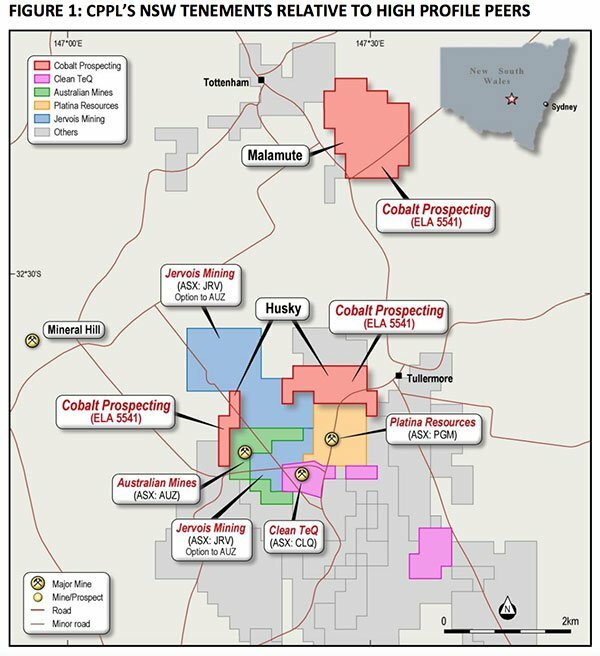 The Malamute tenement is likely to contain a geological analogue to landholdings held by CLQ, AUZ and PGM as historic drilling and mapping has shown similar geological traits. A key difference is the fact that the intrusive body underlying the Malamute prospect is entirely within its boundaries. Further desktop and field work are required to determine the full extent of prospective mineralization at the prospect. CPPL also had two projects in WA, approximately 100 kilometres west of Leonara. While they have not yet been granted, they form part of VIC’s acquisition. 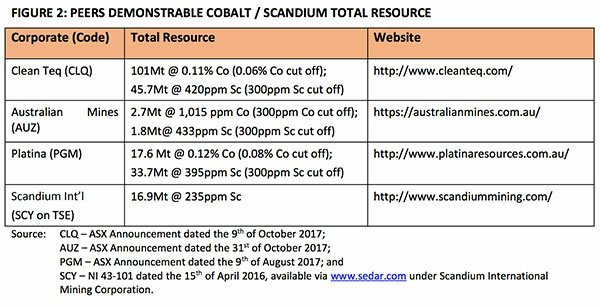 Galah Well assays have shown a significant cobalt anomaly in an historic open file borehole, with a total depth of two meters. 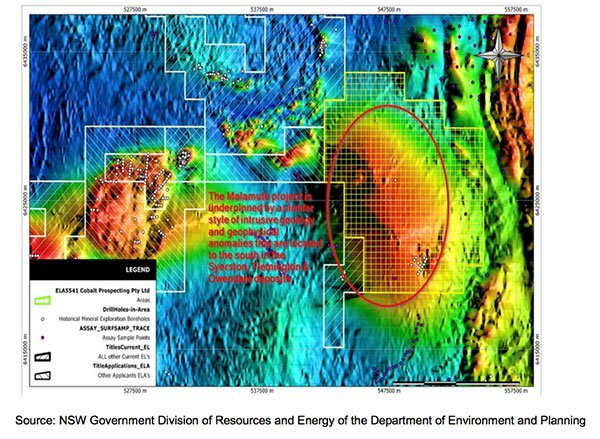 The anomalous drill hole is located on a geophysical magnetic anomaly which strikes across the entire project area. The second WA project is Peperill Hill. Just to the east of Peperill area is an historic open file borehole which had an exceptional assay result of 7,290ppm at 34-36m. Further historic open file borehole drilling has shown strong evidence of cobalt mineralization adjacent to Peperill Hill. Alongside the execution of the CPPL acquisition, VIC agrees to proceed with a placement of 300,000,000 VIC shares at an issue price of $0.007 to raise circa $2.1 million (pre-costs). If permitted, the capital raising will be completed in two tranches, with funds being used to support the acquisition.